I will be posting later with a full review of the festival. Note: Kitty loves festivals. This former hippie (LOVE YOU, PAUL) has been to Bonnaroo, Langerado, lots of tini festivals, and she’s seen a lot of weird and wonderful things. Hunter S. Thompson may have had fleeting moments of pride in my adventures. Though, for now, all I can tell you is what happened in a mere 5 hours at Randall’s Island yesterday. A day at Governor’s Ball is not for the weak, apparently. I saw some droopy, sweaty, confused individuals get pulled out of the crowd by people wearing STAFF t-shirts, so I suppose not everyone can handle the combination of alcohol, dehydration, and what one of my friends lovingly refers to as “party favors.” Since I woke up comfortably in my own bed, wrist bands still in tact, so far so good. 6:30PM: Arrive at the Manhattan Ferry. A pair of people in front of me get busted for drinking bottles of coke that smell like high school. 7:00PM: Arrive at the festival. Not so crowded, still sunny, perusing food trucks. First thing’s first: Tito’s vodka cocktail. Kitty sticks to her Texas roots whenever possible in Yankee land. Phoenix plays in the background, and I successfully avoid seeing them despite having gone to this festival with my 21-year-old cousin. 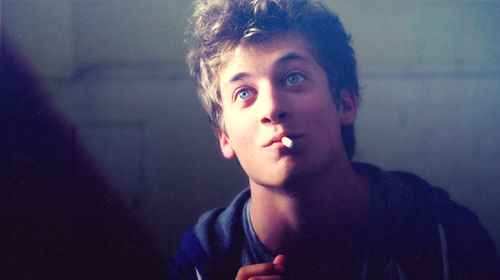 7:20PM: Spot Lip from the US version of Shameless. Realize he’s tini, but still pretty damn good lookin. 8:00PM: Buy merch for the good doctor, who is currently dying at home with what I like to call poopentery. 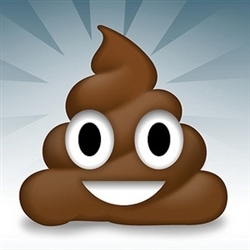 Text said gentleman to get an update on his well-being, obviously send him the smiley poop emoticon. He’s just a lil guy! 8:10PM: See TV on the Radio, one of my favorite bands. They chose a terrible set list. Make crowd friends before wandering off to see Outkast, which my cousin’s phone automatically converts to OUTKAST. It’s appropriate. 9:15PM: See OUTKAST. Feel old, but totally cool with it. When they play Sorry Ms. Jackson and So Fresh and So Clean, my high school self feels complete, minus the bottle of jack-filled-coke. 9:45PM: Some chick gets dragged out of the crowd, and tries to tell the STAFF t-shirt squad that she’ll be fine if she could “just take a quick nap on the ground.” Adorbs. 11:00PM: Attempt to escape to the ferry, get stuck in massive crowds, occasionally get those annoying people who cheer every time we turn a corner. 11:45PM: Everyone on the front half of the ferry suddenly stands up and gasps. Is it a mouse? Is it a cockroach? DID SOMEONE SPILL THEIR PRECIOUS BEER? Oh, no, that dude just barfed. Bro, the ferry is 20 minutes, and this is a 3-day festival. Slow your roll. 12:30PM: Pizza party with the cousin while watching American Dad. Recovery commences. Well, there you have it. Sorry for the quickie, but this is all I have to report from the short day. I’ll come back with hopefully more entertaining stories of today’s and tomorrow’s events. Until then, this is Kitty, signing out.